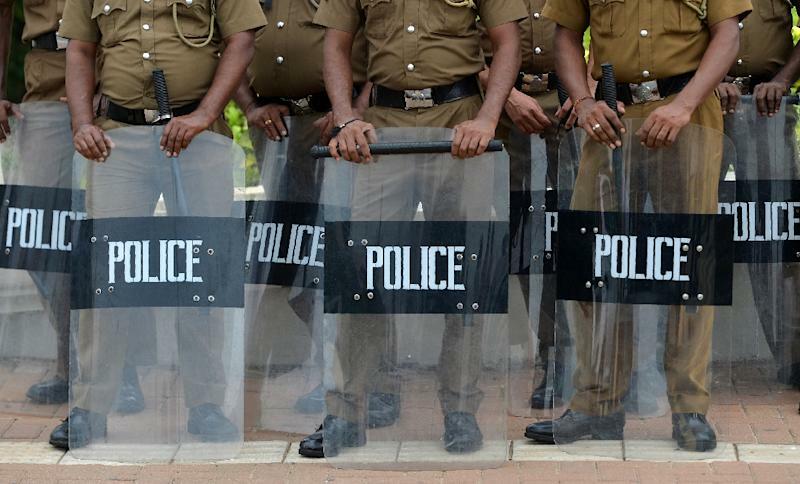 Sri Lanka's government is still using draconian anti-terror laws that give police sweeping powers to arrest and detain suspects despite promising to abolish them, Human Rights Watch said Monday. The Prevention of Terrorism Act (PTA) allows the detention of suspects for long periods without trial and was widely used during the decades-long civil war that ended in 2009. The government of President Maithripala Sirisena promised to abolish the act after it was elected in 2015, but has so far failed to do so. "The Sri Lankan government has been all talk and no action on repealing the reviled PTA," said HRW's Asia director Brad Adams as the rights group released a new report detailing alleged abuses under the act. "Replacing this draconian counterterrorism law with one that meets international standards should be an urgent priority if the government is serious about protecting human rights." Sri Lanka says more than 80 detainees are still being held under the act, although local rights activists believe the true number could be in the hundreds. HRW said it found the PTA was a "significant contributing factor" toward the persistence of torture in Sri Lanka nearly a decade after the end of the civil war. Its 46-page report documents abuses allegedly committed under the PTA, including torture and sexual abuse, forced confessions and systematic denials of due process.